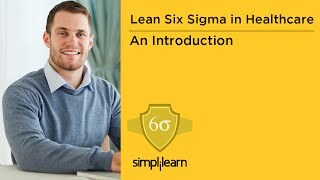 Understand the application of Lean Six Sigma concepts in healthcare through relevant case studies and examples. Lean Six Sigma in Healthcare is an industry-specific course on the application of Lean Six Sigma in a Healthcare setting. This course will provide a practical understanding on how to effectively use the methodology and tools, to improve projects in a healthcare environment. It also highlights examples, case studies and a sample project to reinforce and provide insight on the enhancements that are possible by implementing Lean Six Sigma. The course offered by Simplilearn includes only online training. The courseware includes case studies and relevant examples for better understanding of the key concepts. Discuss common challenges in Healthcare settings. Understand a sample project through the entire process of conducting an improvement project, from Define phase to Control phase. Demonstrate through the use of the relevant sample project how to apply the methodology and use some of the tools. What is the value of this course to the professionals? Identify the gaps in a process and fix them. This course can also be taken by other aspirants and students who wish to gain a thorough understanding of the application of Lean Six Sigma in the Healthcare sector and want to apply the methodologies and quality control process within their organization or in the community. In this training, you will have access to online e-learning and chapter end quizzes.